When I saw this older gentleman reading a magazine I was struck by how self contained he was. Compact. His dark shirt did not show one speck of lint. 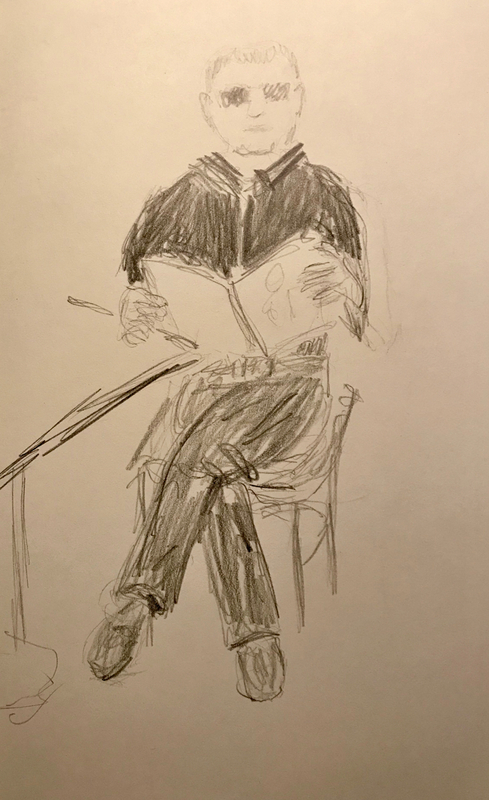 This entry was posted in Personal Stories and tagged art, artistic process, compact posture, composure, drawing, lint free, pencil sketch, portraiture, sketch, visual art. Bookmark the permalink. You can see his character in his pose. He is sitting very precisely. Yes, that’s what got my attention.